The euphoria has passed. China’s economic growth is reaching its limits. This has far-reaching consequences for the global sourcing market and is triggering change. In response, China is planning a seismic shift from its current status as a production-led economy to a consumer and high-tech society, the maxim being: quality rather than quantity. 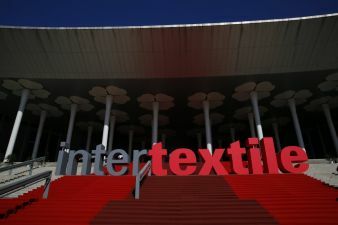 The autumn edition of Intertextile Shanghai confirmed that this shift is already in full swing. Having smashed one exhibitor record after the next in recent years, the fair is having to come to terms with stagnating numbers. Here too, Intertextile Shanghai is seeing the focus morph from quantity to quality. 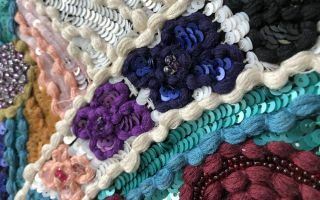 New sourcing markets are appearing on the global textiles arena. Besides South-East Asia and Bangladesh, Africa is increasingly edging onto the radar. China has long since recognised this trend and is successively building business partnerships with countries on the African continent. The Chinese are spending billions on modernisation and infrastructure, and in so doing, are strengthening their own position. Chinese President Xi Jinping has pledged the equivalent of EUR 56bn in development aid to Africa over the next few years. New state-of-the-art textiles factories are also being built there. In fact, it is not unusual for Chinese textile manufacturers to build a shiny new facility in Africa and take on lots of African workers whilst making Chinese staff redundant at their Chinese factories back home. Another problem facing China’s textile industry is the progressive slump in demand among the Chinese middle classes, which is being fuelled by a sharp rise in the cost of living. As a consequence, the appetite for Chinese-made apparel is declining. “Many Chinese textile companies who until now have focused entirely on the home market are being forced to look farther afield, predominantly to Europe and the USA,” states Micheal Lam of Advanced Denim. This comes with the need to adapt designs. “Chinese tastes in terms of fashion look and style differ greatly from those in the West,” concludes Isabel Gibson at Gibson Design Studio, Switzerland, continuing, “As far as swimwear is concerned, for example, Europeans prefer European-style flowers and blooms, trendy New Yorkers go for fancy animal prints in loud colours and the Chinese tend to opt for Asian floral motifs in western interpretations.” The key to the Chinese textile industry’s success stands and falls, therefore, with its ability to diversify design. 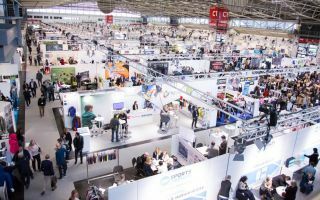 More than 4,600 exhibitors from 29 countries presented their latest collections across 10 halls covering an area of 260,000m². Even though exhibitor numbers stagnated against the year before, it is still fair to say that the significance of the Asian exhibition venue in Shanghai is steadily rising. Buyers going in search of premium products always strike lucky at the Salon Europe, the Milano Unica pavilion and the national pavilions representing countries such as France, Germany and Turkey. Other national pavilions such as Hong Kong, India, Japan, Korea, Taiwan and Thailand likewise underline their importance for the global market. In a move to bring order to the huge expanse of the fair and to help buyers keep their bearings, the organisers had created six specific product zones: Accessories Vision, All About Sustainability, Beyond Denim, Functional Lab, Premium Wool Zone and Verve for Design. 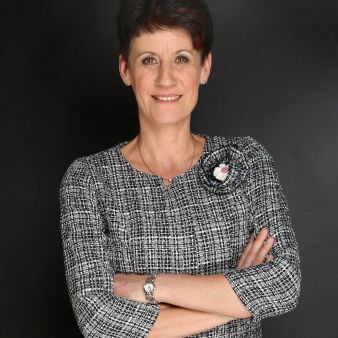 If companies are wanting to gain a foothold not only on their home market but also internationally, the quality of their products has to be right. Ever more Chinese manufacturers are taking this to heart as the quality of their products continues to improve. This was certainly confirmed by the seven halls that were filled with Chinese suppliers and divided into product groups such as Ladieswear, Functional Wear, Sportswear, Swimwear, Suiting and Shirting. In contrast to the stagnating numbers, the Beyond Denim Hall actually posted a rise in exhibitors. 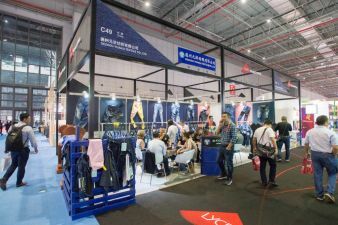 The Chinese company Prosperity Textile had an impressively sized stand which reflected its status as an innovative and modern denim producer whose product portfolio also includes eco-friendly denim. In 2016, it became the first company in China’s denim industry to join the Bluesign system, which prohibits the use of environmentally harmful substances in the production process, whilst defining guidelines and auditing compliance with a view to guaranteeing environmentally friendly and safe production. Even though Brexit is only everyone’s lips even in far-off Asia, the standing of Europe’s textile and apparel industry in China remains high and the demand among Chinese buyers for high-quality products from Europe is as strong as ever – be they luxury products from France and Italy or high-tech offerings from Germany. All the indicators in China’s textile industry are pointing towards change and it remains to be seen how the Chinese market will evolve. This transformation process is already in full swing and Chinese companies that are flexible and can adapt to change even in the face of economic crisis, will come out fighting. After all, a crisis also holds many a hidden opportunity.